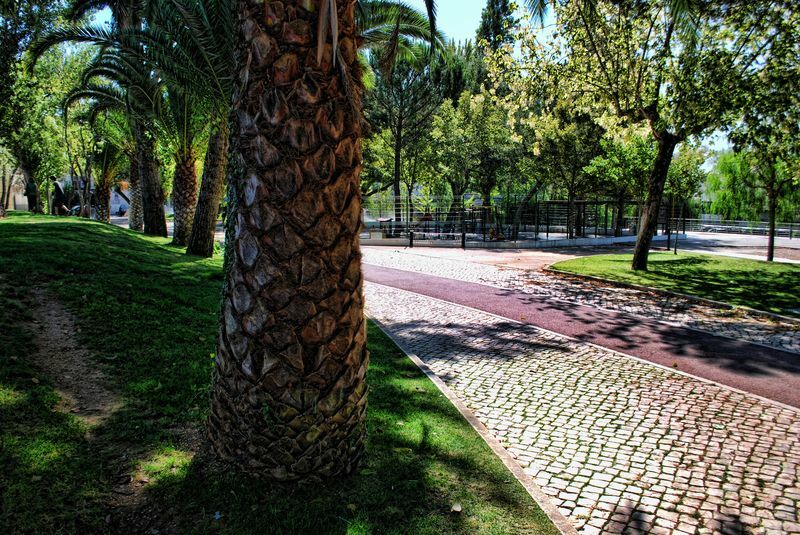 Parque do Mouchão (Moucão Park) is a luxuriant park located right in the middle of the City of Tomar. 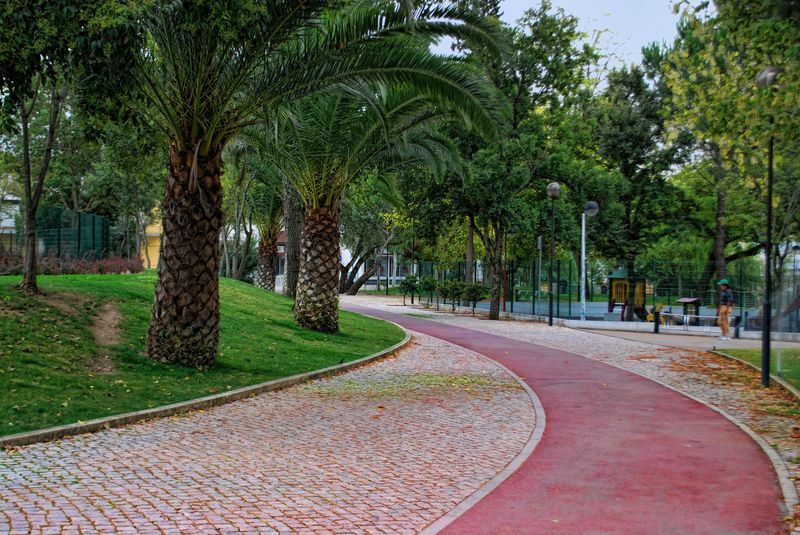 Many people live in the surrounding areas of this park, and that gives them the opportunity to spend some quiet time here, either by themselves or with their families. 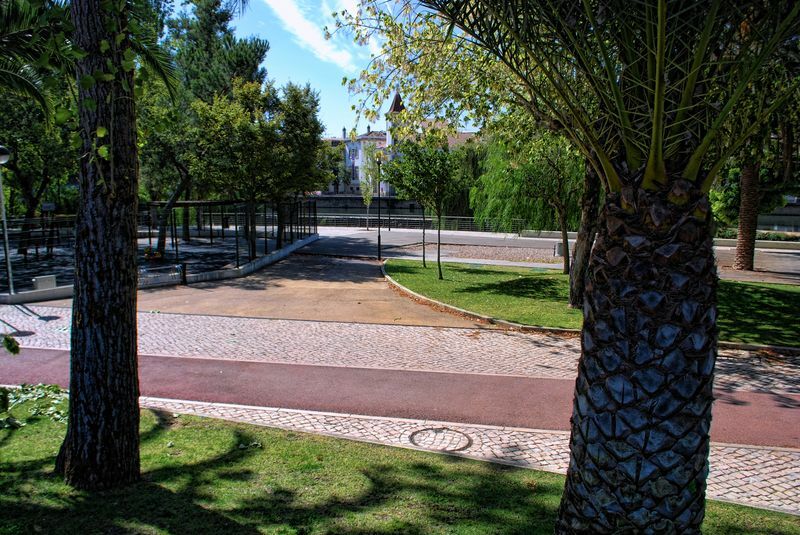 You can feel the serenity of this specific spot, which is especially good for children as there is a kids playground with magnificent views for Nabão River and the old town of Tomar.